Motorola RAZR Teaser Photo Revealed! Win ONE of FIVE Anti Gold Accounts! What do you get when you add up the Galaxy S and the Galaxy S II? You get 30 million. No I did not mess up the calculations that is really how many Galaxy S phones Samsung has sold. Let’s take a trip back to last April when Samsung launched its flagship phone line, The Galaxy S line. These phone have taken the world by storm and also taken their money. Today in a press release from Samsung they announced they have sold 30 million of these phones. With the UK having this phone and 3 of the 4 largest US carriers having their own variant of the phone the numbers can only go up from here. No doubt about it. By the time we see a Galaxy S III we will likely have a lot more sold then the Galaxy S III will increase that number even more. With the way this is going nothing can stop Samsung. Samsung Electronics said on Oct 17 that its flagship smartphones Galaxy S and Galaxy S2 marked the accumulated international sales of 30 million units. 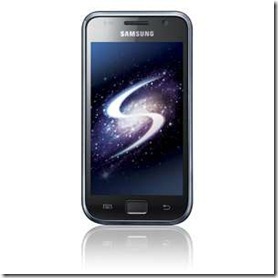 Galaxy S, which has become Samsung’s representative smartphone brand, is just around the corner to hit 20 million sales. And Galaxy S2 which was introduced in last April set the fastest record to hit 10 million sales for Samsung phone (A Galaxy S2 has been sold in every second since its release) owing to its super-AMOLED display, super-fast application processor, optimized software and etc. Galaxy S2 was also crowned as ‘Phone of the Year’ in major awards like Gadget Award 2011, Mobile Choice and Consumer Award 2011. Thanks to the international popularity of its Galaxy brothers, Samsung Electronics became the second most sold brand in the smartphone market in the second quarter of this year, and continues to lead major European markets including Germany, Italy and France.